I need a new water pump but don't know which one will fit on my car. Engine is a 73 Q code 4V. Looks like the failed water pump is original with D00E-D on the core. Also, do I need to take off the "I don't know what it is" and reinstall it on the new pump? As the water pump is out, I think it's not a bad idea to change the timing set, if so, what brand should I take? It came with good gaskets and all fits and works at it should be! The thing you mentioned is the "distributor vacuum controlled valve" or "ported vacuum switch"! Wether which kind of motor you have and which year it was produced you should have either a ported vacuum switch or a so called EGR vacuum delay valve. It is for the EGR system and has only two in- and outlets. Originally I should had have the EGR vacuum delay valve - this was common in 1973 with cars with EGR-system for regulating exhaust fumes. 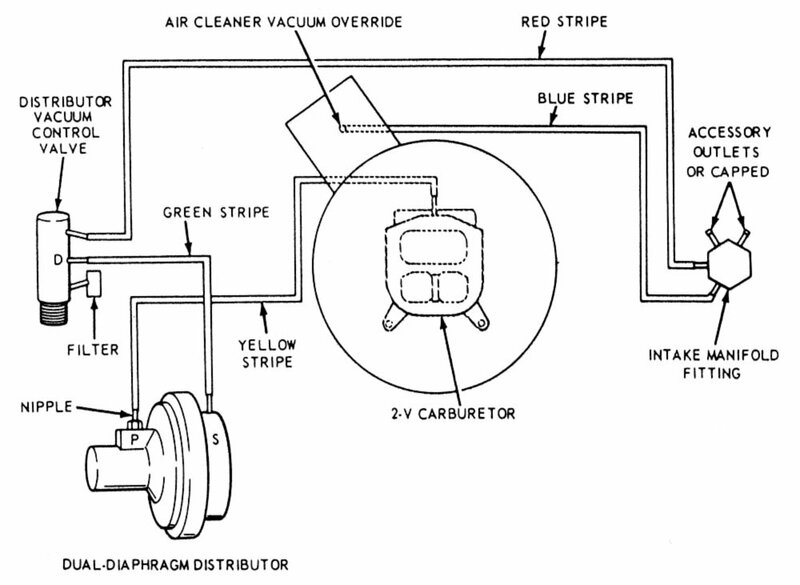 The three way version controls vacuum to the distributor vacuum advance. It was important for cars with air condition to raise rpm when a/c is on and you are in a traffic jam. When it was activated by a certain temperature it makes more advance over the distributor and so you have more rpm and as a result of this the fan which is controlled over the engine's rpm turns faster and the engine could be a bit more cooled. So the question is with which system you Mustang came. Do you have any EGR-pieces under your hood or more exact: do you have the original carburator there, a 4300 D spread bore carb for the '73s?!? You get it separately too - you can think about if you choose a double-roller chain. For my applications I thought a double non-roller does the trick too - it sits as sturdy as it should. Thank you for all those informations, sure this helps me, as all is original in this Mach 1, there are a lot of things I don't have anymore under the Grandé 's hood, definitivly not original at all. Don't want to keep egr valves and things like that, also thinking about leaving the AC but not using it, don't really need fresh air here, more or less like for you I guess. The "distributor vacuum controlled valve" is not connected anymore , it's just set on the water pump with no hoses on. The carburetor I will check tomorrow, sure it's not a Holley, I know well those ones. Must be the original carburetor in place. Do you have the oil slinger from the crank shaft? Would you be willing to sell it?